Garmin Tactix Bravo Watch | BUDK.com - Knives & Swords At The Lowest Prices! Tactix Bravo multisport training GPS watch combines specialized tactical functionality with smart features for fitness training and outdoor navigation, all in a stylish, everyday watch! An all-black, rugged and durable design is built for the tactical environment, and dual-mode operation optimizes the sunlight-readable display for day use or night vision goggle compatibility. 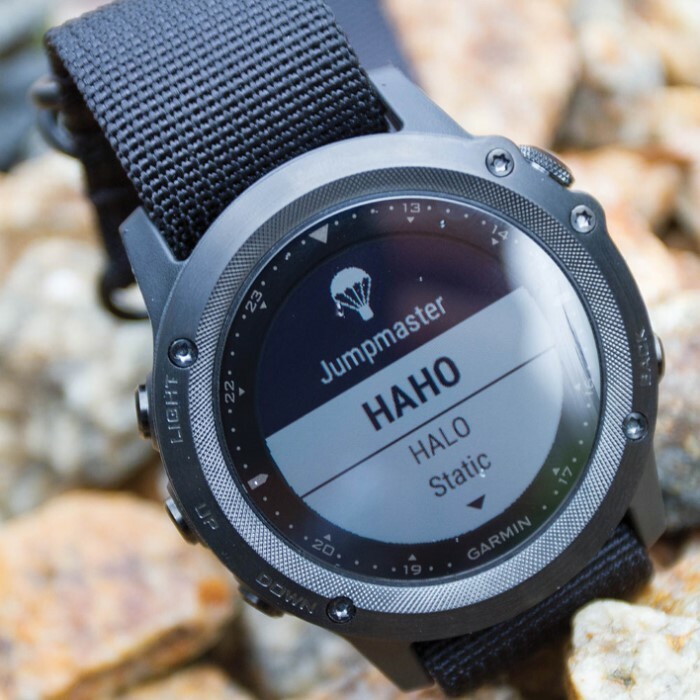 It has tactical features like Jumpmaster activity, projected waypoints and dual-format position format GPS Coordinate Data Page that supports MGRS, degrees, minutes, seconds and more. The Tactix Bravo watch provides comprehensive navigation and tracking functionalities and is equipped with both ANT+ wireless and Bluetooth so that you can receive emails, texts and alerts right from your smartphone. 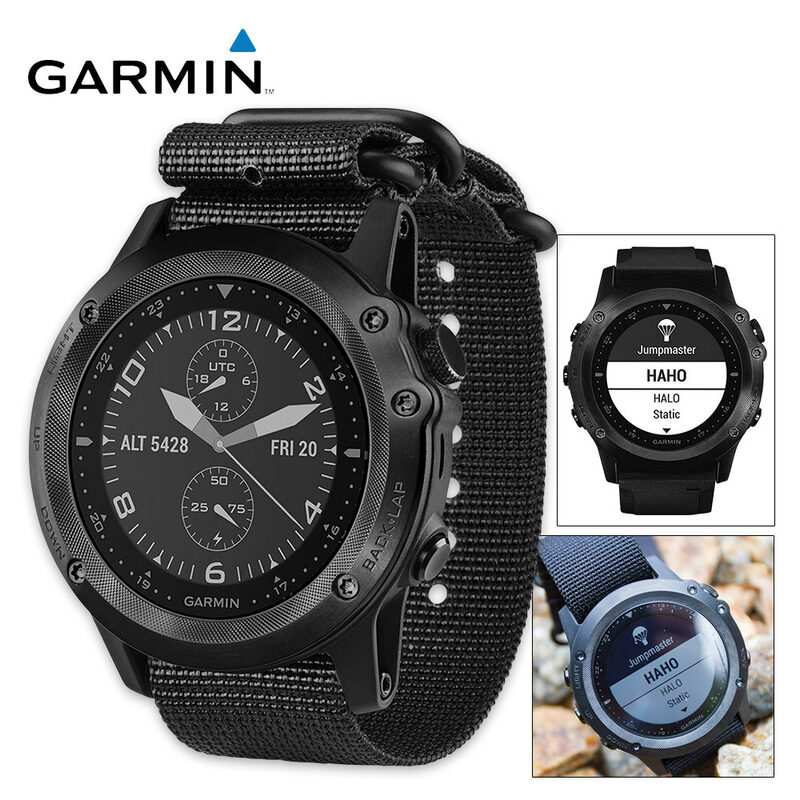 The watch is also water rated to 100 meters and has a battery life of up to 50 hours in UltraTrac battery saver mode, 20 hours in GPS mode and up to 3 weeks in smartwatch mode. 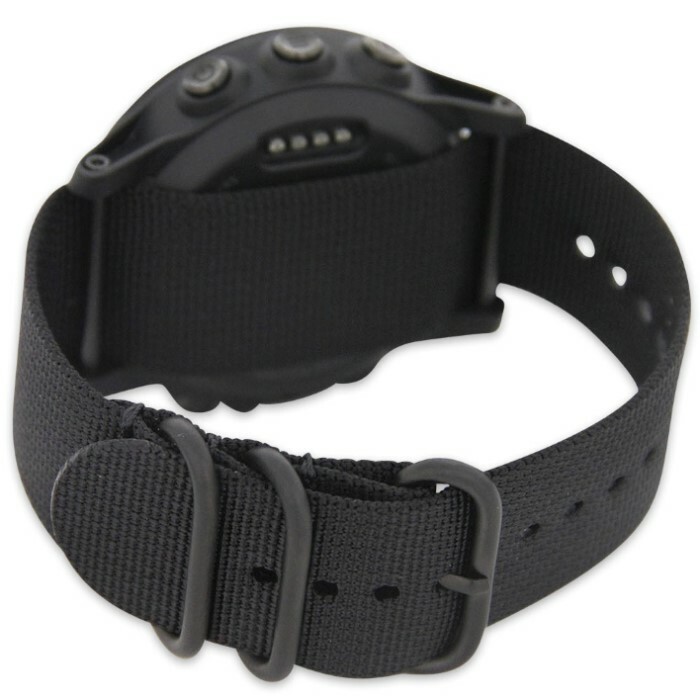 It comes with interchangeable 3-ring nylon straps, including black and olive drab. This watch does everything but talk!